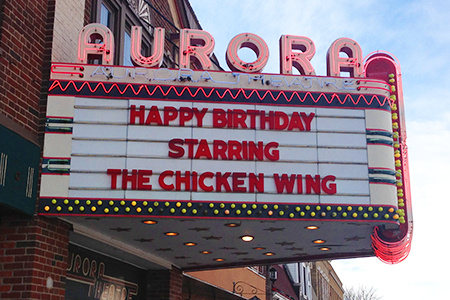 Whether you are 5 or 50, a big screen birthday at The Aurora Theatre is a fun and memorable way to celebrate a birthday, whether its for you or someone you love! 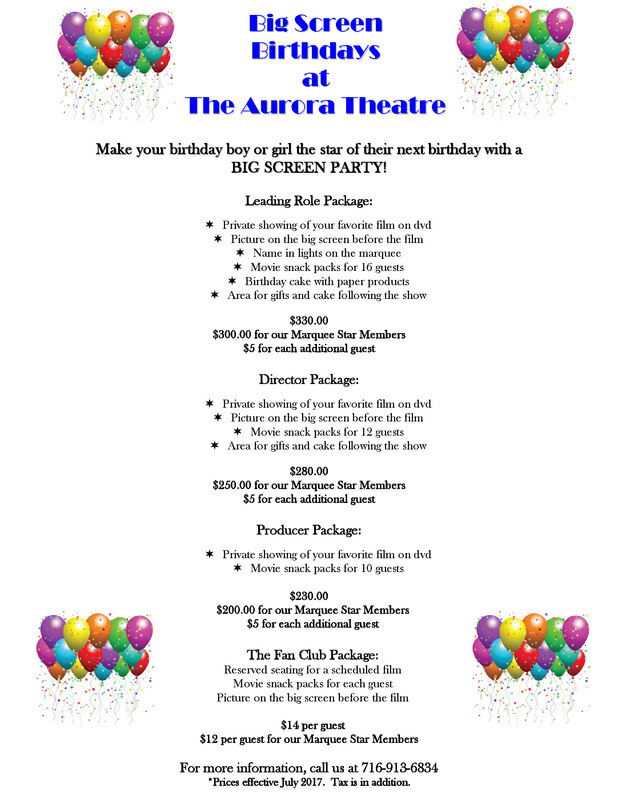 Make your birthday boy or girl the star with a BIG SCREEN PARTY! All our party packages include private rental of the theatre, showing of your child’s favorite dvd on the big screen, kiddie combos with unlimited refills of popcorn, pop and fruit snacks for your child’s guests and more. You can also add to your party their name on the m arquee, photos on the big screen before and after the movie, the birthday cake, pizza or additional snacks. Our party times are Saturday and Sunday 11:00 am, after school and school holidays breaks. Additional times are available based on our scheduled feature film show times. Look at our great party packages. You too can have a big screen birthday. Celebrate your big day with family and friends with a celebration Hollywood style. Or surprise someone with a “Surprise Movie” birthday party. We can customize your party with your choice of movie, special movie snacks and, of course, your special message on the marquee. For more information, contact at Lynn at 716.913.6834 or info@theauroratheatre.com.